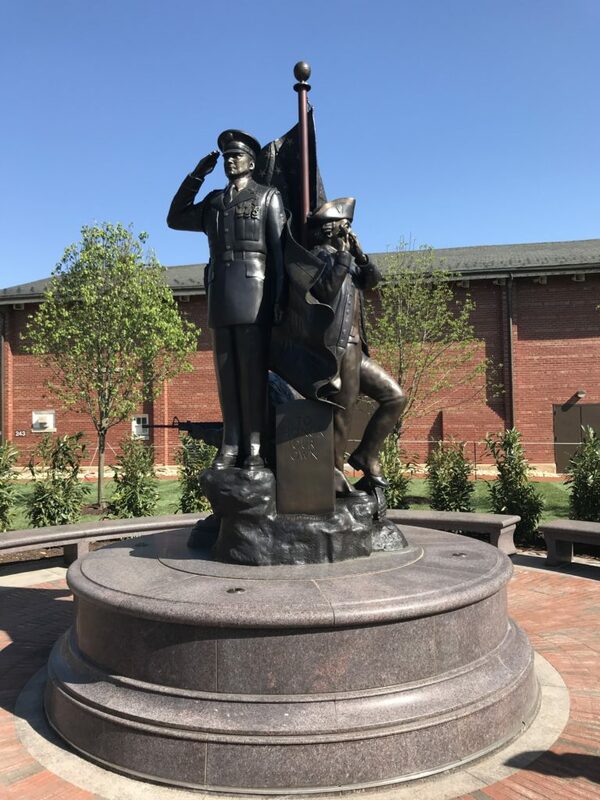 Old Guard Monument at Joint Base Myer – Henderson Hall. The idea for the monument was conceived by Colonel James Laufenburg, who was the Regimental Commander of The Old Guard during the September 11 attack on America. 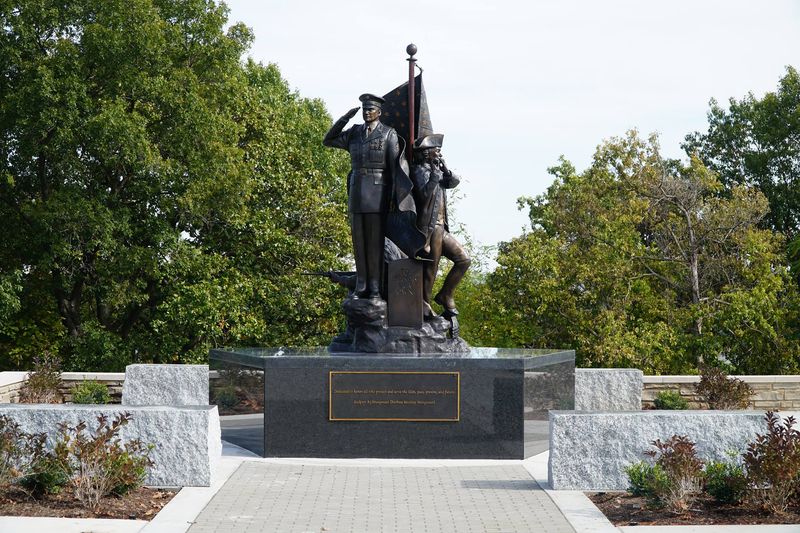 The first casting of The Old Guard Monument & Plaza is at Joint Base Myer – Henderson Hall in Washington DC. The second casting of The Old Guard Monument was a community project conceived by the St. Louis County Parks Department in conjunction with renowned Sculptor B.J. Mungenast, a St. Louis native, to locate The Old Guard Monument and Plaza at the Powder Magazine Museum in Jefferson Barracks Park. Renowned sculptor B.J. Mungenast accepted the challenge as the monument creator because of her love for the country and the United States Army. Old Guard Monument at Jefferson Barracks Park, Missouri.